BRINDABANCHAK RURAL DEVELOPMENT SOCIETY is located in TAMLUK West Bengal . BRINDABANCHAK RURAL DEVELOPMENT SOCIETY is registered as a Society at KOLKATA of state West Bengal with Ngo unique registration ID 'WB/2014/0079243' . 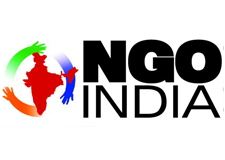 The NGO registration is done by Registrar of Societies with registration number S/1L/38800 OF 2006-2007 on the date of 25-08-2006, Its parent ORganaisation is BRINDABANCHAK RURAL DEVELOPMENT SOCIETY. The Chairman of BRINDABANCHAK RURAL DEVELOPMENT SOCIETY is RABINDRANATH ADAK and Chief functionary officer is LAKSHMIKANTA MONDAL. Promoters are SUKDEV PATRA, HARIPADA SANTRA, PARTH PRATIM ADAK,. PLANTATIN, WOMEN & CHILD DEV., AGED CARE, EDUCATIONAL PROG., HEALTH PROG., AWARENESS CAMP, TRAINING PROG. ETC.